Being that they were ordered from China, I ordered a few items from WeMos. 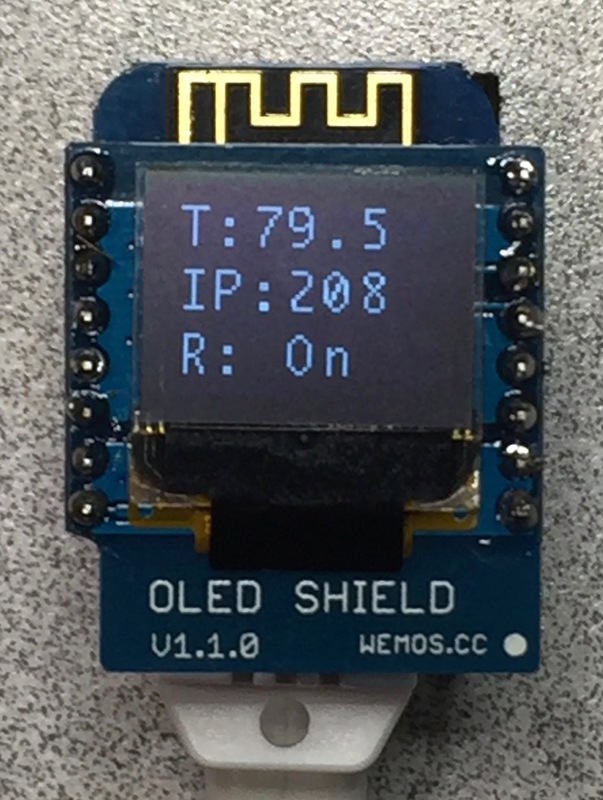 OLED Display Shield, Temperature Sensor, Relay and Button shields. All were cheap and using Arduino fairly easy to program just took awhile to get to USA (say a month to the day) [Not complaining, just stating, pay a little more get from USA seller MUCH faster]. 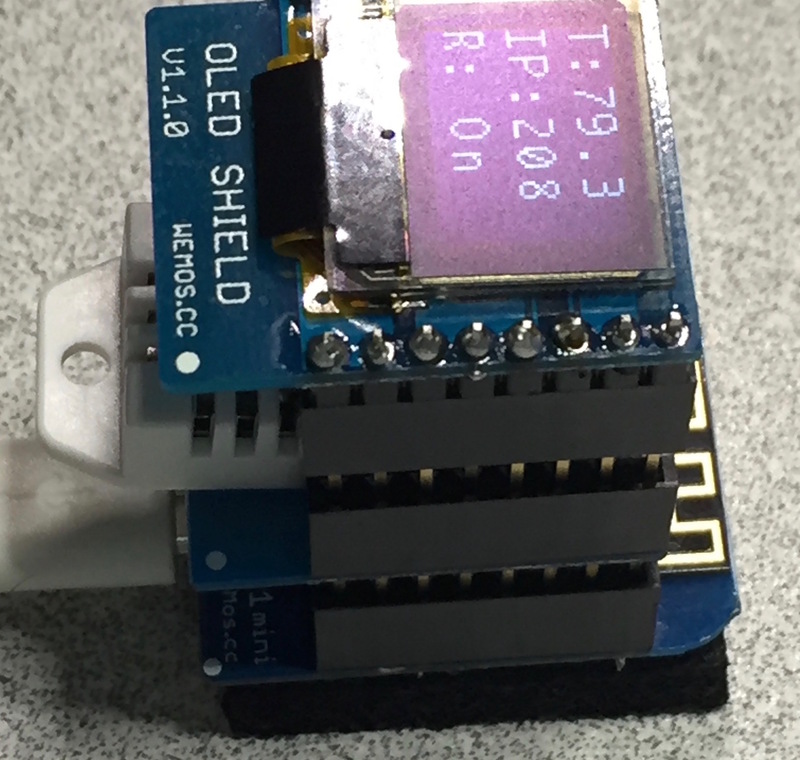 We were able to create a web server, that reads and displays Temperature (T), control a relay over the web (R) and have it display its IP number (within our subnet). HOWEVER, you can’t read temperature and control relay, in the same ‘stack’. So more parts are on order to deal with that minor complication. Just a matter of deleting two lines of code, and it worked. Course that took two days to find. Being a true believer in scattering projects over over the place, wireless would be great. But as always, there is the matter of POWER. If I have to run power, I can run an ethernet cable.